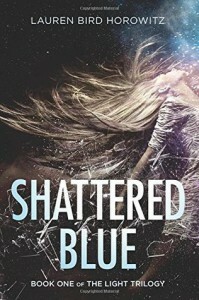 Shattered Blue - Jess Loves to Read! I really enjoyed this book! I'm sad that I have to wait to read the next installment, though! The story was creative and well-written. The ending was a total surprise! Often, I am able to guess at least somewhat how the book will end. However, this one totally got me! I can't wait to read the next book in this series! I hope it is as good as this one!